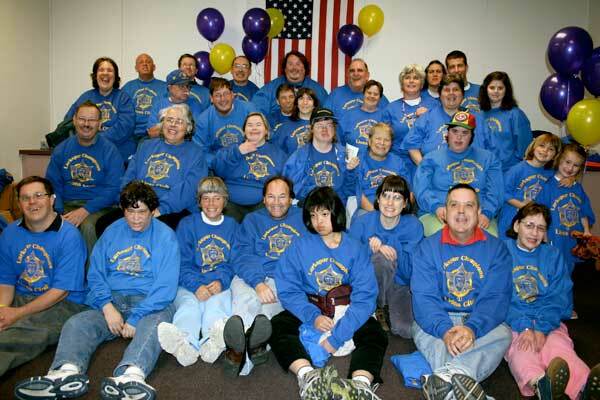 Photos from Larkspur Champions Lions Club events and from our 10th Anniversary! 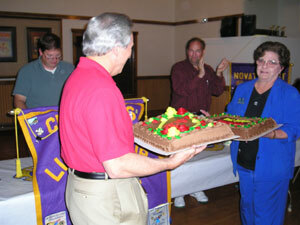 Novato host Lions Club invites us to their meeting. Our club's 10th year anniversary party! 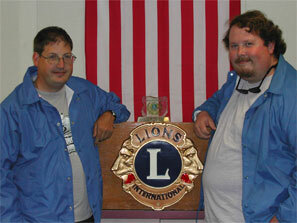 ------------------ Lion District Governor visits our club. SPECIAL AWARD FOR REC INC LIONS CLUB PRESIDENT! When Area Board 5 sends out requests for nominations for the Carlos Quintong Leadership Award, we are looking for individuals with strong leadership traits, active involvement in the community, strong self advocacy and someone who is an example to others. Tonight we recognize Erik Peerand from Marin County. Eric has very strong leadership skills. 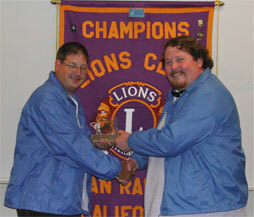 He is on the Advisory Board for REC Inc. as well as the president of the San Rafael Champions Lions Club. He was named “Lion of the Year” in 2005 in San Rafael, an award given to members of any Lions Club and voted on by all Lions in the district As a member of the Lions Club, Eric performs community services such as ringing the Salvation Army bell at Christmas, selling drinks at monthly dances with the profits going to charity, bowling at Bowl for Kid’s Sake and other events. 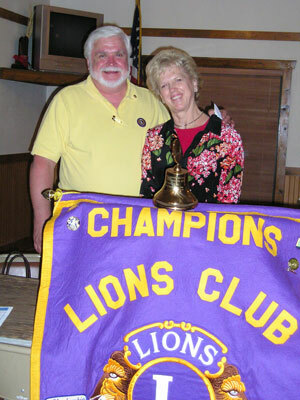 Erik has made connections with other Lions Clubs in Marin, speaking at their meetings, participating in district and zone meetings and attending functions. 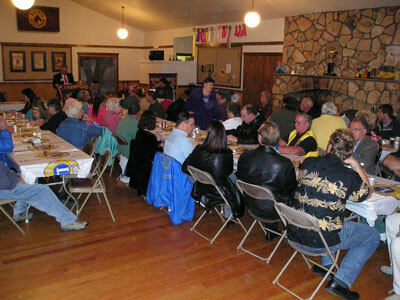 Because of Erik’s efforts, the Champion Lions Club is invited to all functions in the district. Erik is an excellent public speaker and is a mentor to other people with disabilities to learn how to speak in public and stay on message, He has helped the current president of the Champion Lions Club to speak to other clubs and to represent the club at meetings of Lions Officials and Officers. 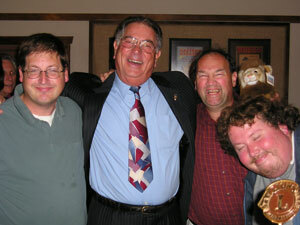 Eric supports other people to attend events in the community where they have received free tickets. Erik lives on his own and works full time at Samuel P Taylor Park and Goodman Hardware Store in Mill Valley. Eric is an inspiration to others. His easy going manner and personable nature has broken down barriers for other people with disabilities and has encouraged them to achieve more in their lives. For his strong self advocacy, active community involvement and great leadership traits, please help me honor Erik Peerand.